It is a few hours to the 2019 elections we have all been waiting for. Now is the time for us to vote the right people. Wherever you are this election period, there are some safety tips you should know. Campaigns and rallies have somewhat violent and we wouldn’t want you to be caught up in such violence. In a bid to minimize such casualties, here are some safety tips before and after voting. Avoid Arguing In Public: There is definitely going to be room for arguments and the last thing you want to do is partake in it. This type of argument usually end up really violent and you don’t want to be a victim. Be Early: Remove that Nigerian time mentality from your head and get to the venue on time. We can’t tell if someone plans on hurting people supporting another candidate, so there would be higher chances of winning. Do Not Criticize Any Politician: This is one thing you don’t want to do this election. Just mind your business and cast your vote! Never Wear Political Uniforms In Public: Wearing a political uniform can cause you more harm than good this election. Remember that there are people waiting for you at home! Drop All Valuable Items At Home: They are called valuables for a reason, so if you value them, drop them at home. Eat Before You Leave: Ensure you fed your stomach before going out to cast your vote. The voting process is long. Don’t be deceived. Go Home: Once you cast your vote, go home! Don’t wait for anything. 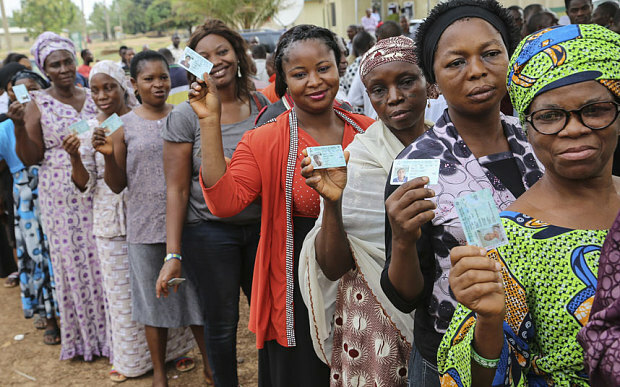 Keep Your PVC Well: Your PVC belongs to you and you alone. Don’t let someone else use it.